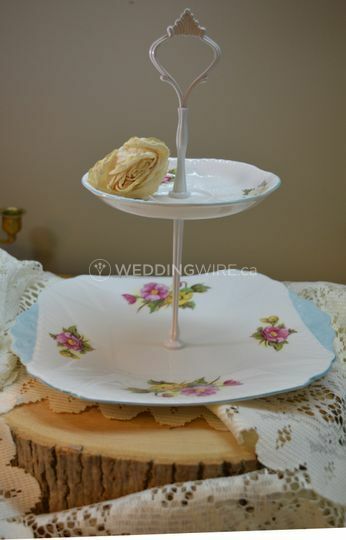 Cedar & Lace ARE YOU A VENDOR? 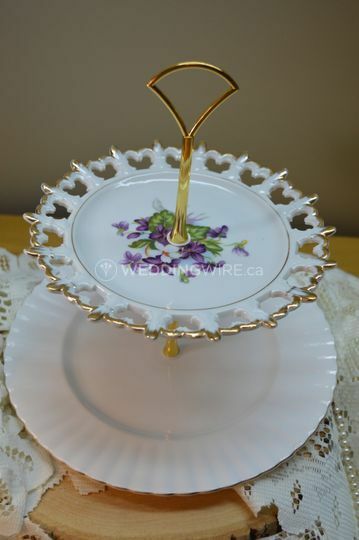 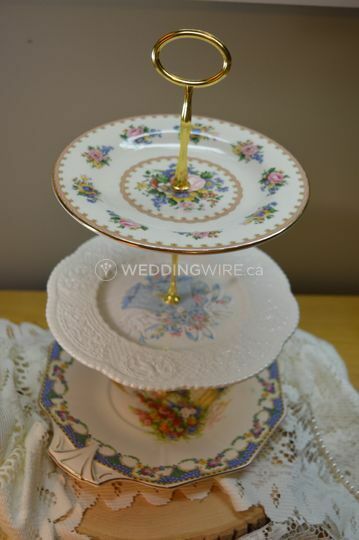 Located in Markham, Ontario, Cedar & Lace is a company that specializes in providing weddings and special events with vintage charm through elegant and beautiful serveware. 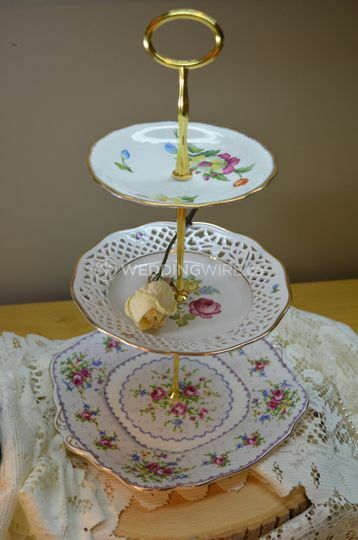 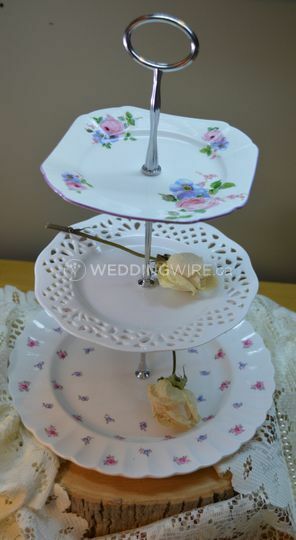 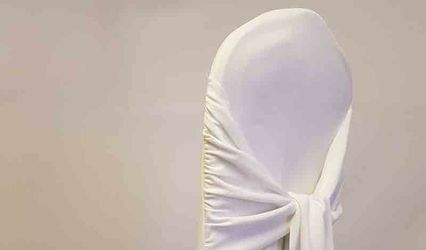 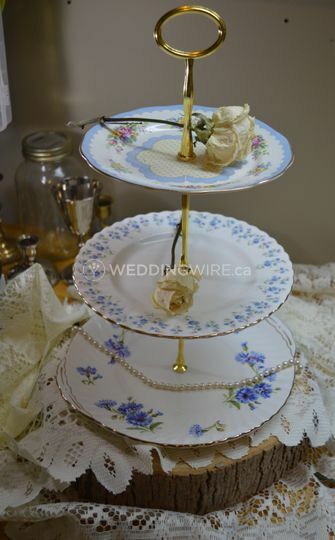 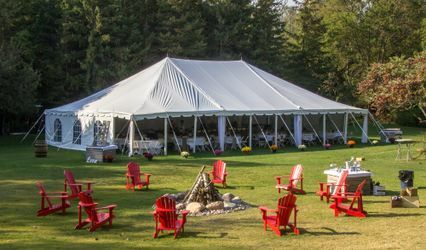 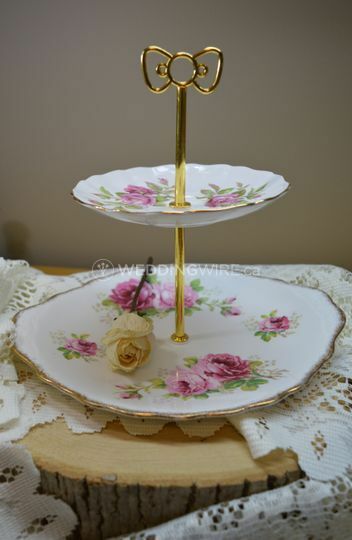 The event rentals they provide include unique vintage china plates and other items which will create a whimsical and fairytale like ambiance at your wedding reception. 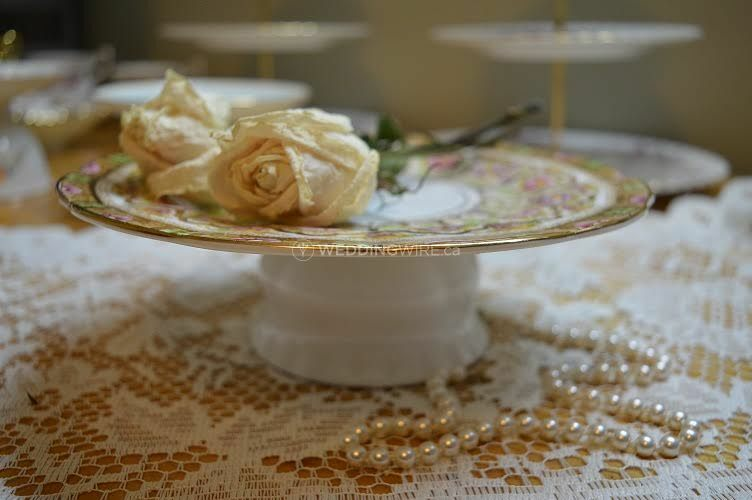 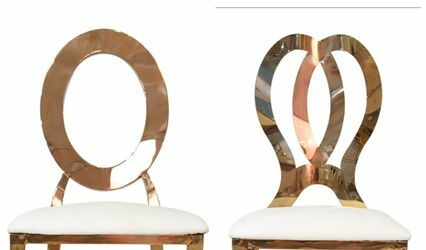 Owner Cristin Christopher creates eclectic pieces that will add to your vintage inspired wedding theme perfectly. 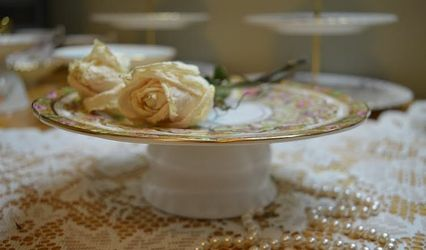 She will personally deliver and set up her products at your wedding venue to ensure everything looks picture perfect.